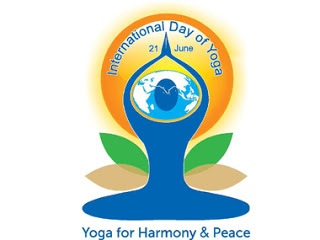 On this International Yoga Day, Youth Apps highlight the best 3 Yoga App which help you to practice yoga on a daily basis and also get good understanding on the yoga. Daily Yoga- Yoga Fitness Plans App has been released by Daily Yoga Software Technology Co. Ltd Health & Fitness. The app description in Google Play read as "Come to Life. Come to Yoga. Daily Yoga inspires yogis worldwide with the largest yoga pose base, 100+ yoga and meditation classes plus varied programs that suit yogis of all levels. Helps them stay with yoga every day"
Focused on yoga for weight loss, beginner to advanced, better sleep & full relax, altogether 11 yoga experts aim to make it easier & convenient to workout and help you gain better results from yoga. This fitness app facilitates the most convenient home exercises, not only nourishes your health but also spares you all the tiresome workouts and help you achieve fitness goals with yoga studio on the go. Daily Yoga- Yoga Fitness Plans has been installed between 5,000,000 - 10,000,000 times by users at the time of this review and has an average rating of 4.2 in Google apps store. Daily Yoga- Yoga Fitness Plans app has been reviewed by 50054 Users and 30303 users have rated 5 stars. Daily Yoga- Yoga Fitness Plans app size varies from device to device and can be installed on any Android device running version 3.0 and up. Yoga Fitness Training App has been released by creative apps corner Health & Fitness. The app description in Google Play read as "Yoga is a mixture of mental, physical and spiritual practices. In today’s life, it has become very important to work for earning enough money. You can only work properly when you are mentally healthy. Doing yoga everyday will help you to gain inner peace. So, you can concentrate more into your work and get promotion !! Yupiii :)"
Yoga Fitness Training App has been installed between 50,000 - 100,000 times by users at the time of this review and has an average rating of 4.3 in Google apps store. Yoga Fitness Training App app has been reviewed by 244 Users and 150 users have rated 5 stars. Yoga Fitness Training app size varies from device to device and can be installed on any Android device running version 3.0 and up. Daily Yoga Poses Offline App has been released by DTStudio Health & Fitness. The app description in Google Play read as "Welcome to Daily Yoga Poses. A pocket guide to all of the most effective yoga poses for the body. We have various routines that target different parts of the body as well as different effects"
The app offers over 40 poses and 8 routines for your body. Some of the poses are beginner level and some are for more advanced. As you progress through the app and stick to it, you will become stronger through exercise and daily diet. Yoga fitness not only for relaxation. Some of the strongest people on this earth perform yoga daily to keep their body strong and their mind free. Daily Yoga Poses Offline has been installed between 50,000 - 100,000 times by users at the time of this review and has an average rating of 4.3 in Google apps store. Daily Yoga Poses Offline app has been reviewed by 797 Users and 421 users have rated 5 stars. Daily Yoga Poses Offline app size varies from device to device and can be installed on any Android device running version 4.1 and up.